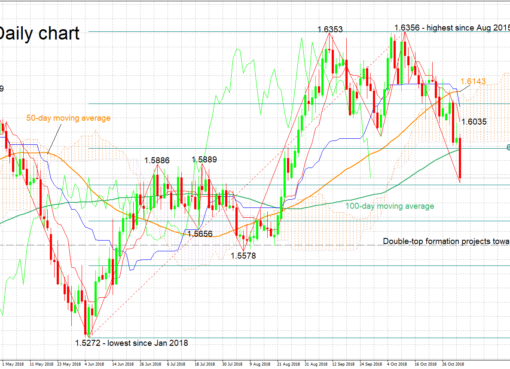 EUR/AUD lacks a clear tendency; SMAs signal bearish bias. 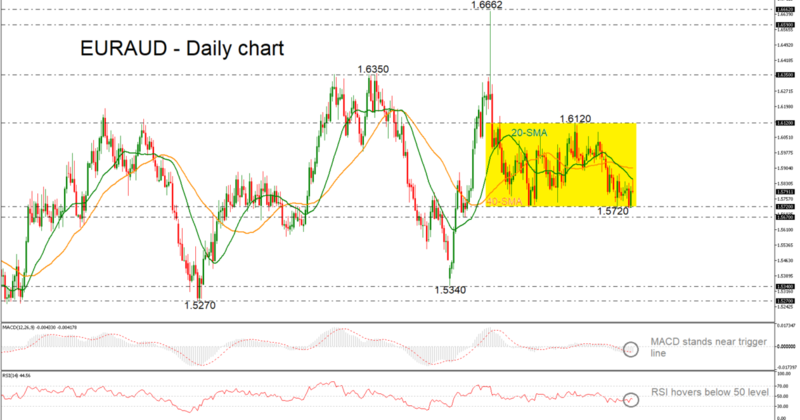 EUR/AUD has been moving sideways in the short-term and long-term timeframes. 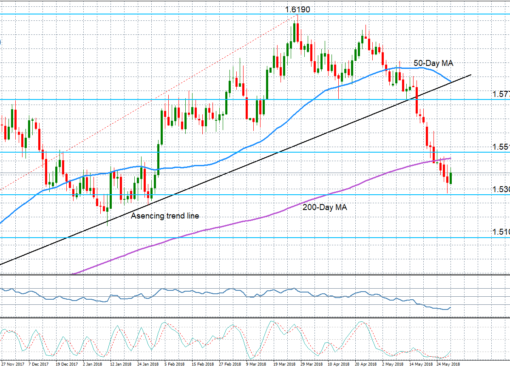 Over the last two months, the price has been developing between the 1.6120 resistance level and the 1.5720 support barrier, trading below the 20- and 40-simple moving averages (SMAs) in the daily chart. The market could maintain its consolidation mode as the RSI and the MACD are holding near their neutral levels with weak momentum. An extension to the upside and above the moving averages could meet the next resistance level of 1.6120, taken from the latest highs, while even higher, the upside rally could send the price towards the 1.6350 level, registered on October 2018. However, if the pair weakens, it could slip until the 1.5720 key level, before shifting the bias back to bearish and heading towards 1.5670. 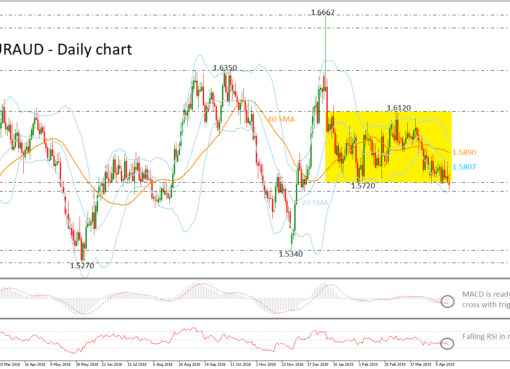 Even lower, the 1.5340 level could attract greater attention as any leg lower could worsen the market’s bearish outlook, opening the way towards the 1.5270 support area. 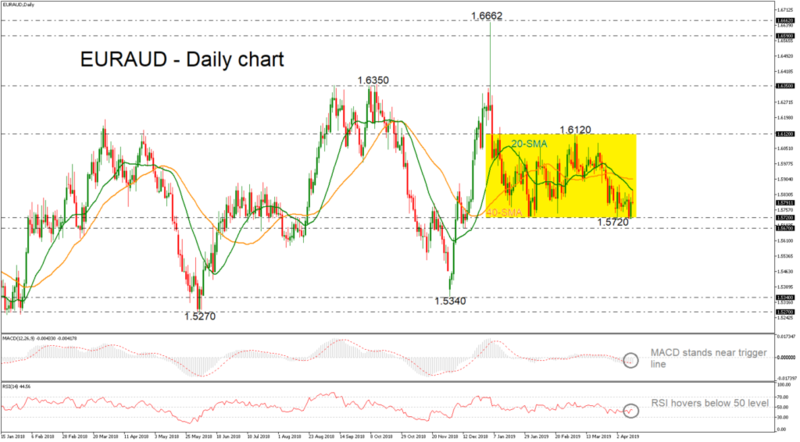 Summarising, the outlook remains neutral and investors should wait for an exit from the narrow range of 1.5720 – 1-6120 in the short-term before placing orders.